I am happy to announce that I have just completed the 2nd edition of "How to Start a Lawn Painting Business", and it is now ready for download. Who Needs A Grass Painting Service? Homeowners and business owners interested in keeping their lawns green who are looking for an alternative to over-seeding and excessive watering. 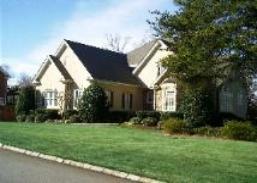 Realtors and home sellers who wish to improve their property's curb appeal. 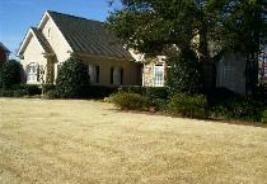 In such an extremely competitive real estate market, the appearance of the yard is the "first impression". Condo and apartment complexes interested in keeping their lawns green while reducing costs and labor. Local governments wanting cost effective options for beautifying their greenspaces and parks. Anyone residing in communities where water restrictions are observed and enforced. This poor gentleman could have used a grass painting service. How Does Lawn Painting Work? A grass painting technician applies a coat of safe green dye to your lawn and within an hour, your grass is dry, and your property is ready to be envied and enjoyed. The paint/dye is harmless to lawns, pets, and people and will not wash off. One application lasts up to 90 days or until mowed.